The goal for the Tissue Engineering Platform is to provide the CRG, PRBB and external researchers with the latests technologies used in the fields of stem cell biology, stem cell differentiation, organoid formation and induced pluripotent stem cells (iPSCs). The Unit is constantly setting up new technologies that are emerging in the above fields. 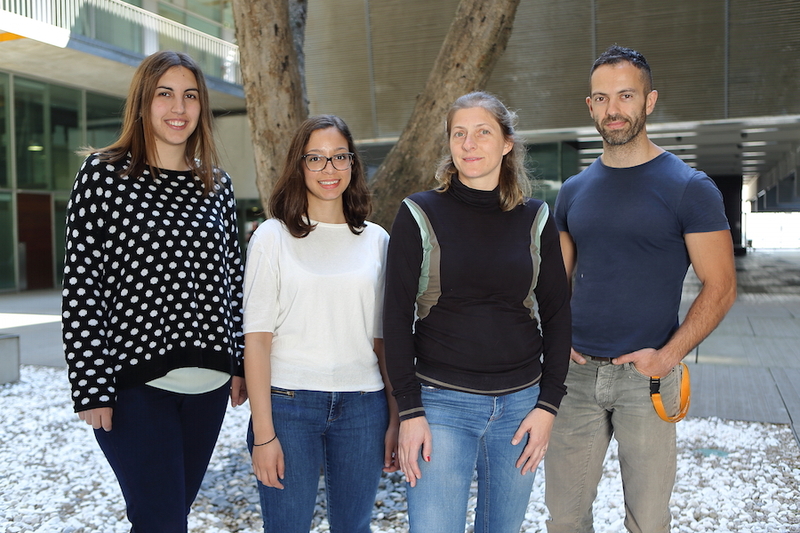 Since September 2015: Head of the Tissue Engineering Facility, CRG, Barcelona, Spain. 2012-2015: Stem cells, Embryology, in vivo procedures and Micromanipulation Officer, Gene Regulation, Stem Cells and Cancer Programme, CRG, Barcelona, Spain. 2010-2012: Stem Cells and Induced Pluripotent Stem Cells Unit , Mouse Embryo Micromanipulation Manager, CMRB, Barcelona, Spain. 2008-2010: Senior Technician , CMRB, Barcelona, Spain. 2004: Research Assistant at Stem Cell Sciences (UK) Ltd., Edinburgh, UK. 2003: Research Associate at The Wellcome Trust Center for Cell Biology, University of Edinburgh, Edinburgh, UK. 1999-2003: Bachelors Degree in Biochemistry, Universitat de Barcelona, Barrcelona, Spain. The new Tissue Engineering technological platform offers its services to both CRG and EMBL Barcelona site members. With this purpose, premises have been refurbished and first equipment has been installed, thanks to the co-funding from the European Regional Development Funds OP 2014-2020 in Catalonia (reference IU16-005537). Suitable technical staff has also been hired to run the facility. All services offered by the Tissue Engineering Unit are accessible to all the scientific community. Access is always open and services are performed upon request. 2D and 3D cell differentiation. Upon request and evaluation. The Tissue Engineering Unit it is equipped with the following instruments and it is currently acquiring new equipment.